I was kindly sent this lovely skin care product to try out, and for the past month I've been giving it a go. It boasts that it does exactly what it says on the bottle - it clears you skin up with no side effects. I was curious, could such a thing actually exist? So I put it to the test. You use it twice a day, so I do it in the morning before I pop on my moisturiser and in the evening after I've cleansed/taken my make up off. I use a cotton pad to wipe over the affected areas, or those areas that I know usually go bad (o hi chin, I hate you) and let it dry by itself. Now, I'm very cautious about saying something is perfect for my skin - I am of the opinion there there is no such thing after trying dozens of products - however this comes pretty damn close. Within a week of using it my skin had cleared considerably. Any little blighters that looked to be coming up instantly backed down and scurried away and any spots that were too far along to leave, appeared less angry and did disappear quicker than they usually do. Since it helped to clear my skin it has helped to keep impurities at bay and I am enjoying, for perhaps the first time ever, good clear skin at the moment. Yes I do still get a couple of occassional blighters, but they are fewer and further in between. I would definitely check them out, it's a fab product and I have fallen deeply in love with it - they do offer a free sample online here so if you still aren't sold give it a try (they do need you to pay £1 for P&P though). It's available from this website internationally so you guys oversea can give this a go as well! For only £9.99 you really can't go wrong. 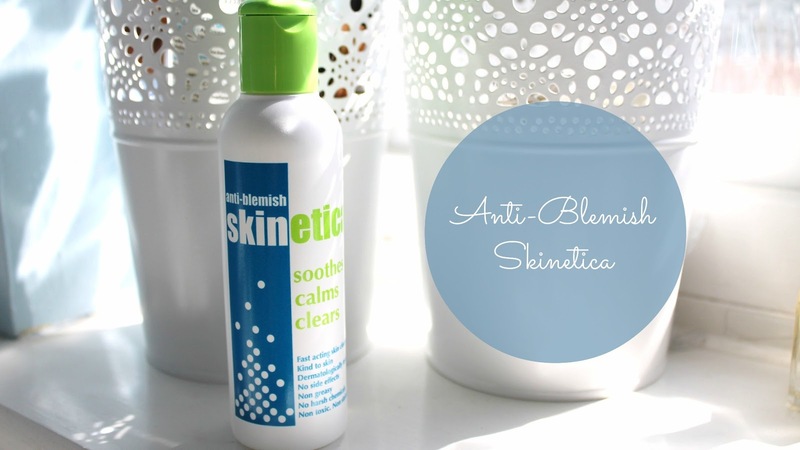 Have you tried skinetica? what spot treatments do you live by?